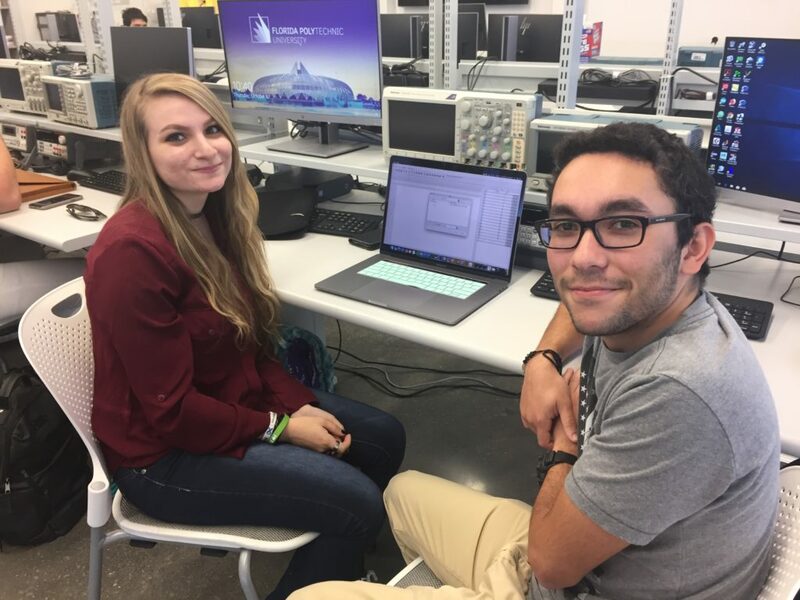 Florida Polytechnic University seniors Lina Brihoum and Eliezer Pla work on a research project to improve detection and prevention of drowsy and distracted driving. 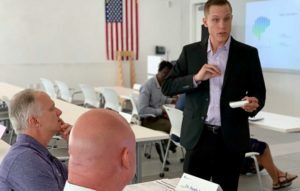 LAKELAND, Fla.–New research by Florida Polytechnic University faculty and students has the goal of detecting and preventing the growing problem of drowsy and distracted driving, one of the main causes of car accidents and fatalities on the roads. 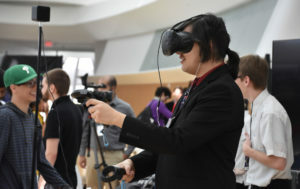 The project, under the guidance of Dr. Kanwal Gagneja, assistant professor of computer science, uses a microcomputer, a camera, and a buzzer. The camera aims at the driver’s face to detect if they’re closing their eyes often. Gagneja said the students developed a software tool to integrate the camera and buzzer system. Besides drowsiness, the research also involves measuring the time drivers spend distracted at the wheel. These distractions include, but are not limited to, texting, talking on a hand-held phone, eating, applying makeup, talking to backseat passengers, and more. Distractions and driving under the influence, one of the leading causes of drowsiness, are at the top of the list of growing dangers on the roads, according to a report from the AAA. Those dangers are reflected on statistical findings from the U.S. Department of Transportation, which indicate that distracted driving claimed 3,450 lives in 2016 and injured 391,000 people in 2015. “Not paying attention is the number one cause for accidents. Hopefully this can prevent some crashes from happening,” said Brihoum.